MOSCOW, June 29 (Itar-Tass) — Andrei Dyachkov is appointed president of the United Shipbuilding Corporation, Vice-Premier Dmitry Rogozin told the corporation board meeting. Rogozin said he signed a resolution on Thursday for the Federal State Property Management Agency to appoint Dyachkov to be new corporation president to replace Roman Trotsenko. Trotsenko is a talented man and most likely will continue his career in business, Rogozin said. 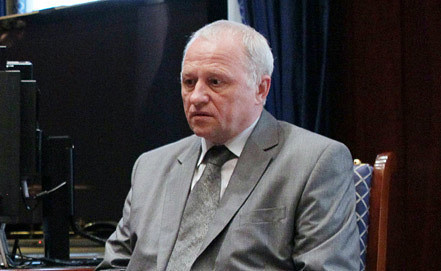 Speaking about Trotsenko's services, he noted the first stage of the industry reforming was successful. At present production of large ships must begin, and Dyachkov will deal with the task, the vice-premier said.